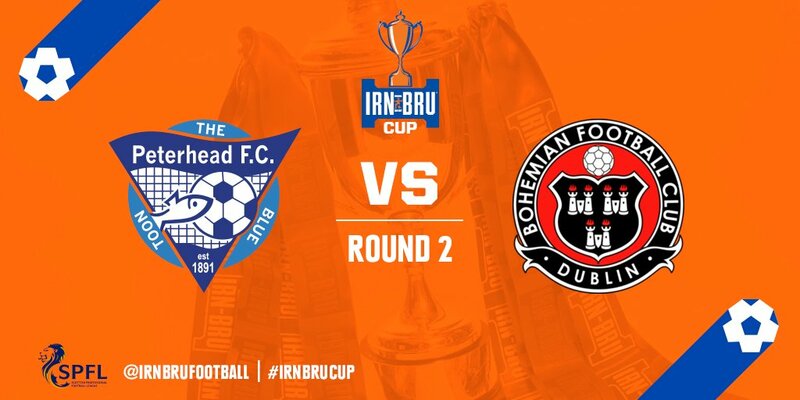 Bohemians have been drawn away to play Peterhead in the Irn Bru Cup. Tie is provisionally scheduled to be played Saturday September 8. But we advise supporters not to make arrangements to travel until this fixture has been confirmed by the club. Meanwhile, our FAI Cup clash away to Galway United has been confirmed for Friday August 24, 7.45pm.